Got those fantastic pics thanks. I wonder where the machines actually took off and landed? The provided photos appear to show a landing area next to the Botolphs Bridge road towards West Hythe. The airfield was much much larger than I ever expected. It is not the locatin I originally posted as this was to the SW of the town. Would you like me to post a google image as seen? Yes, I was really pleased when I saw this the first time. The original is probably with a member of KHARS - it came from the monthly newsletter, which is on copy paper, so I don't have a quality image. I'll see if I can find out the originator and get back to you. Now that is seriously impressive. 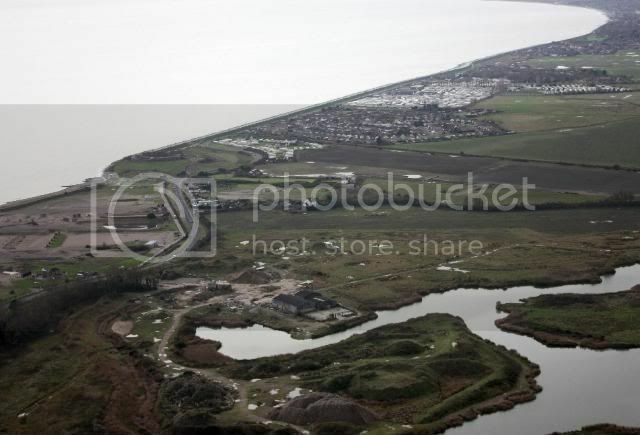 My father lives close by that former airfield in West Hythe. 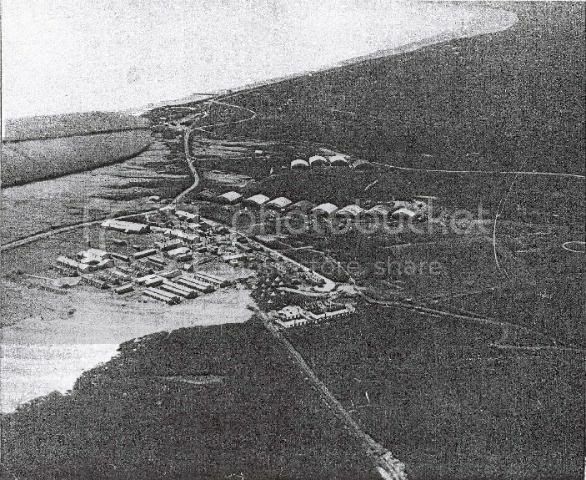 That old aerial photo is the first I have ever seen of tis airfield. I have tried to copy it from your link but only get a really small image! I wonder if you might agree to send these images to me by email? I promise to not release them to a third party if thats what you wish. I'd love to use these pics to construct a report on my website? Trikeman has indeed got a recent aerial picture; better yet I have a 1917 aerial shot for perspective - it's a scan from a poor quality original but you can see exactly where the airfield was by following the roads. They used the Dymchurch redoubt for accomodation. The airfield is now biscected by the RHD Railway and the whole area has been swallowed up by the gravel pits. There are plans afoot to build houses around the waterside. Thanks peeps - just stumbled across it in passing - well was looking for the AA position mentioned elsewhere as I had never heard of that either. Then of course there was the nearby RFC School of Aerial Gunnery at Dymchurch (Palmarsh). This airfield was run as an extention of the School of Musketry at Hythe. I wonder if Trikeman knows about this former airfield? I'd love to see some pics from his microlight? 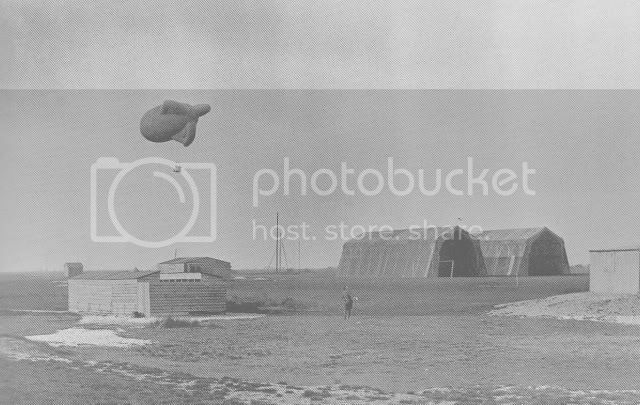 The military used Lydd Camp for balloons as early as 1886. 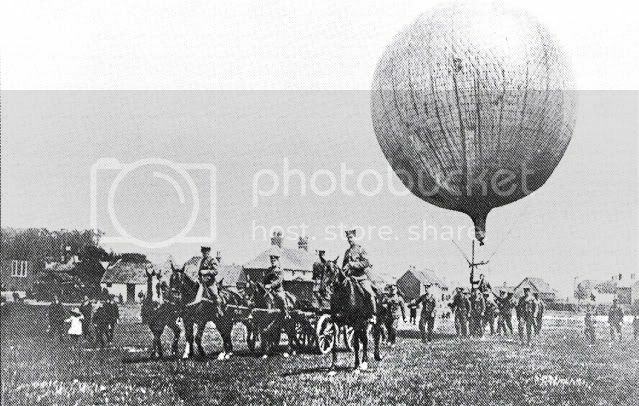 In 1916 an RFC Balloon School was set up. Dering Farm, nearby was used as an airfield for an Artillery Co-op flt to work with guns on the range [ranges still there today]. It was also 3rd Class landing ground for home defence fighters. In WW2 there was an ALG nearby, used briefly by Typhoons in 1943. The Lydd airfielf of today has nothing to do with either site. Lots more details in Action Staions 9.